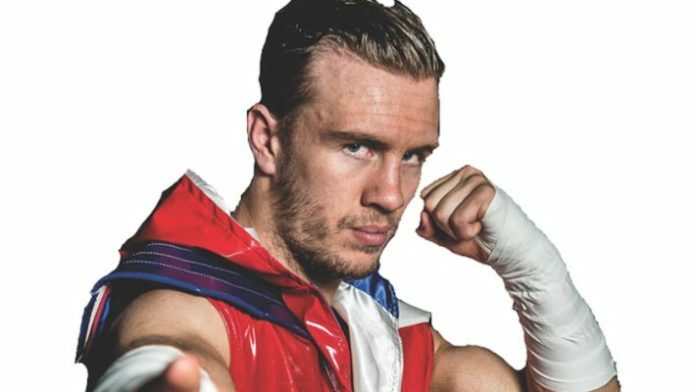 SEScoops has spoken exclusively to IWGP Junior Heavyweight Champion Will Ospreay regarding his brand new UK based promotion Frontline Wrestling. “Frontline is a Professional Wrestling promotion, based in the United Kingdom set to showcase talent from across the globe in a unique way that you’ll never of seen them before. Stylised and presented to as British Puroresu. Puroresu (????) is the popular term for the predominant style or genre of Pro wrestling that has developed in Japan The term comes from the Japanese pronunciation of “professional wrestling”. So we plan on giving you a hybrid of full contact, hard hitting, strong style matches. SEScoops: Hi Will thank you for joining us, You’ve mentioned that Frontline Wrestling will be “stylised and presented” as British Puroresu. Was a promotion with this sort of aesthetic always something you wanted to create or has your time in New Japan and the Japanese wrestling culture compelled you to move in this direction? Ospreay: Yeah 100% I have fallen in love with the Japanese style of wrestling, and not just the wrestling itself. The story telling, the Drama, the production. Most likely cause I’ve been sucked into that New Japan vibe. But it’s little things like, matches having time limits, young boys ringside watching and helping build the Drama. For me it looks like a legitimate sport. And that’s what I want to do with this project is to give a platform for the wrestlers to put on Japanese style matches. SEScoops: Are there any elements from your time running Lucha Forever (alongside Ryan Smile) that you will look to keep? IE. Tuesday Night Graps? Ospreay: I want to run in London on weekdays to be honest. Mainly because the leading promotions like Progress & RPW (Rev Pro) have got that market cornered but for me I’m always bored on a weekday and I love to go see a show or a musical or do something interesting on a Wednesday or Thursday night. Other things is to keep Merchandise fashionable and I’m a story guy so I’d like to be able to run shows in between my NJPW tours to ensure, my hands are fully on the wheel. SEScoops: Are there any British talents that you have lined up for your initial shows? Ospreay: No. Not yet anyway. But I obviously wanna use the best and mix them with people I see potential in. Say your Travis Banks, Chris Brookes, Mark Haskins, Aussie Open, El Ligero are all on top form but to mix them with students of the game and are learning everyday like Connor Mills, Maverick Mayhew, Kip Sabian, Malik, Kosta K, Sean Kustom so many guys. Obviously my cards will be very limited so the strong survive in my mind. Otherwise I’d use like everyone ? SEScoops: You’ve been spending a lot of time in the Australian scene recently helping to grow MCW specifically, are there any performers from the Aussie scene that you would be looking to bring over for Frontline? Ospreay: I was actually saying if this does take off I’d love to make a Commonwealth Cup with Australia, Canada & New Zealand talents almost like a strong style 16 but that’s looking way too far into the future. SEScoops: Is there a chance that we could see co-promotion with New Japan? If you could bring anyone over from NJPW for Frontline who would it be? Ospreay: Absolutely not. I have too much respect for Andy doing RPW and they have the crossover connection with them. However there will be Big Japanese talents that I will be bringing over. Remember…Marufuji did want his rematch with Pete Dunne. SEScoops: Thanks again for your time Will.